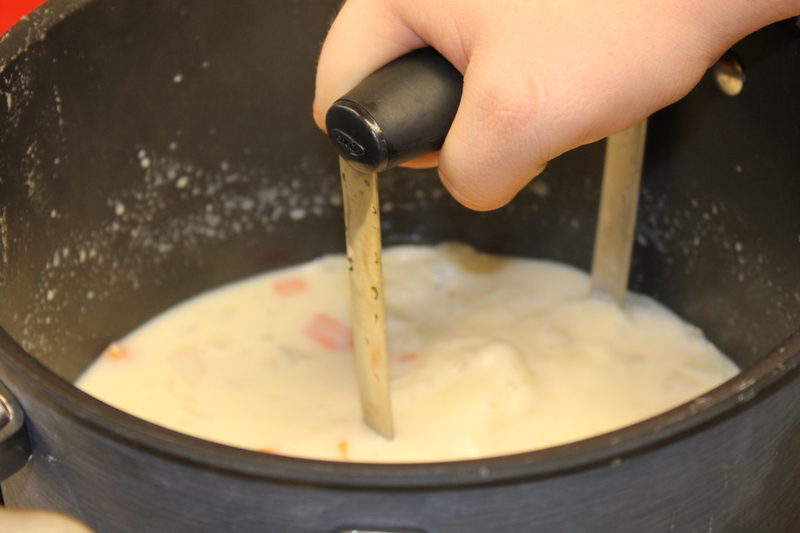 Yesterday Foods 2 learned nine different advanced cutting skills and we are utilizing our cut ingredients in a yummy potato soup. 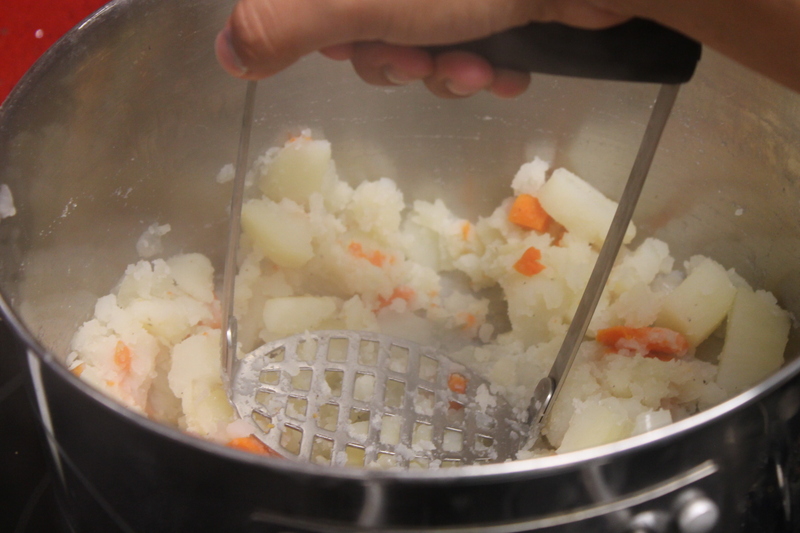 After boiling the veges until fork tender and draining, the kids coarsely mashed some of the potatoes with a potato masher. 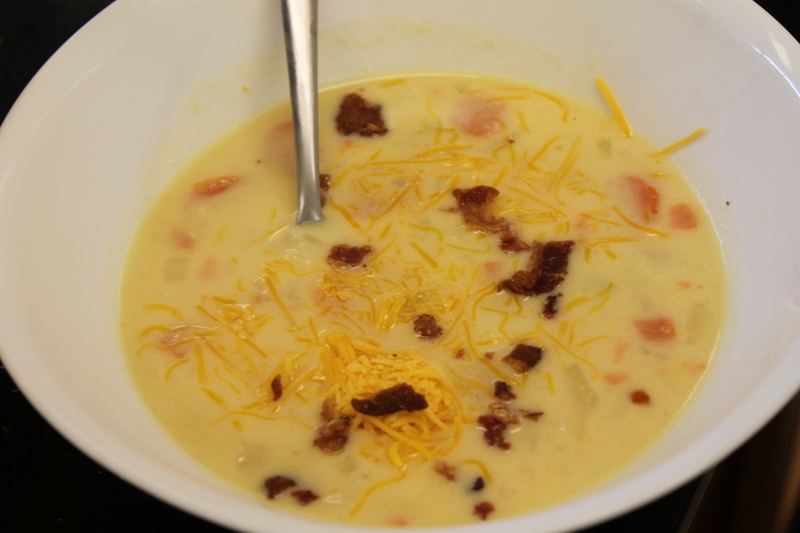 They added chicken stock and evaporated milk, 1/2 cheddar cheese. 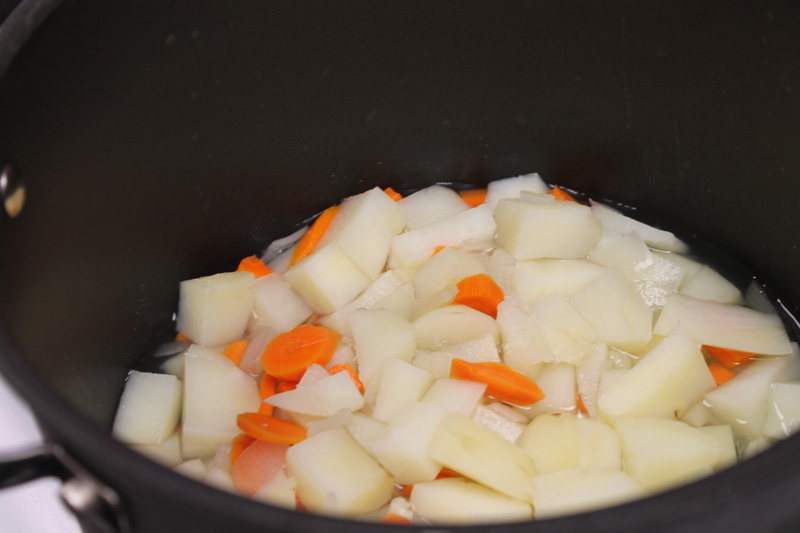 Salt and pepper makes everything taste better. 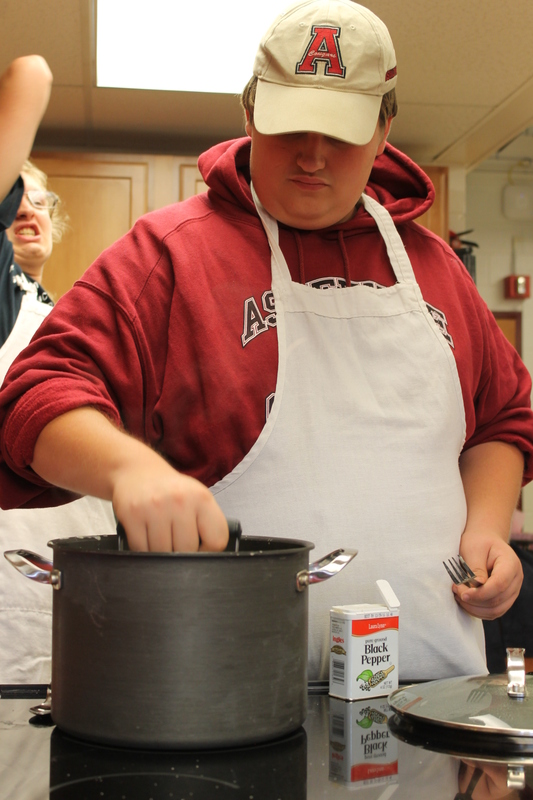 Matthew is keeping a close eye on his simmering soup. 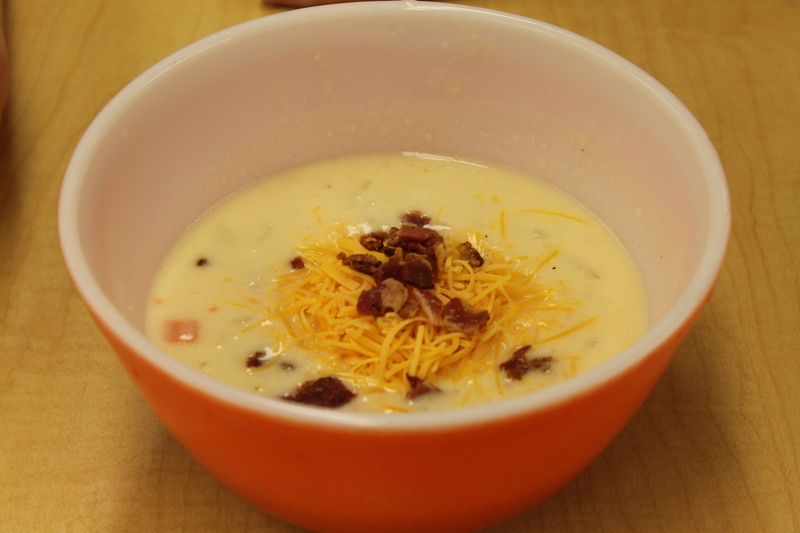 This was a great way to end advanced cutting skills with a warm bowl of soup on a chilly fall day. 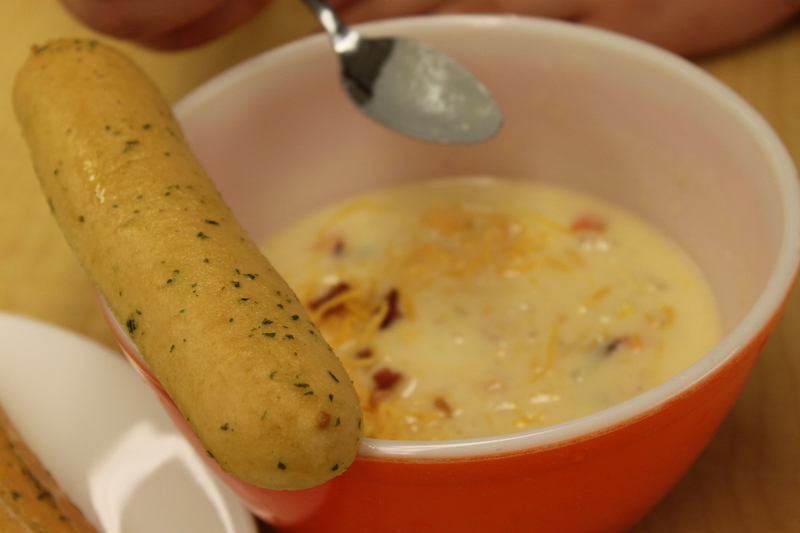 We had a group bring bread sticks brought from home. Now that’s what I’m talking about. 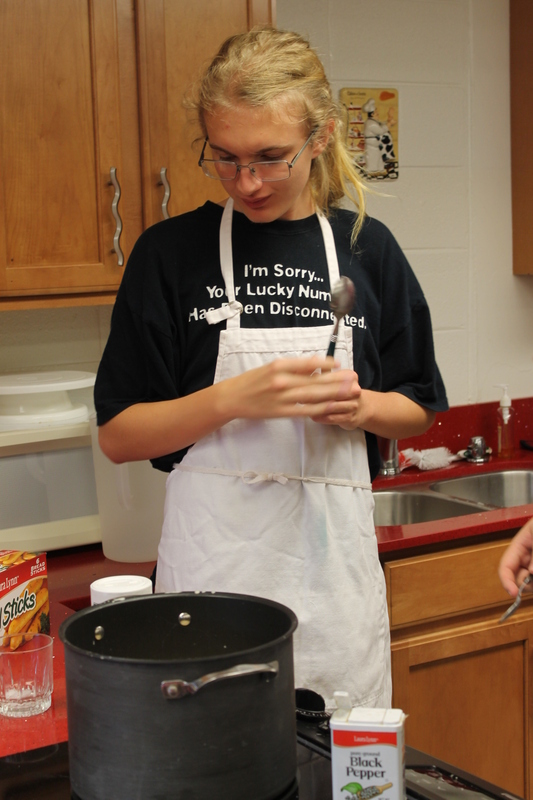 Chef hats off to Foods 2 on this fall Friday. Now we’re off to a pep rally. Go Cougars!!! !